Pilot Stepan Borozenets has died in Chicago. Pilot Stepan Borozenets, who flew more than 100 combat sorties in World War II, has passed away in the United States at the age of 94. An association dedicated to veterans of the USSR has begun to collect donations for a monument. Stepan Borozenets, a World War II pilot and the only Hero of the Soviet Union who lived in the United States, has died in Chicago, Abram Sagalovich, the chairman of the Chicago Great Patriotic War Veterans Association, told the TASS news agency. "Stepan Borozenets died on Friday, Aug. 26," Sagalovich said. "He passed away easily, in his bed." He was 94 years old. For the last few years Borozenets had been living in a nursing home. He is survived by his son and grandson Mikhail, who also became a pilot. Borozenets will be buried in Chicago on Aug. 30. The U.S.-Canadian Association of Airborne Troops Veterans of the Former Soviet Union Countries, which was taking care of Borozenets, said it has begun to collect donations for the construction of a monument to the Hero of the Soviet Union, which it hopes to erect in Chicago. "We want to perpetuate the memory of the only hero of the USSR in the U.S.," Sagalovich said. He drew attention to the fact that Borozenets was the last surviving veteran of the 569th Attack Aviation Regiment, in which he fought throughout the “Great Patriotic War,” as World War Two is known in Russia. Stepan Borozenets was born in the village of Aktyuba in the Soviet republic of Kazakhstan, which is now an independent state, on Aug. 20, 1922. In April 1941, he was drafted into the Red Army, and in October 1943 was sent as a pilot to the First Belorussian Front. Borozenets carried out more than 100 combat sorties, destroying a lot of the enemy's military equipment and supply facilities. He also repeatedly flew reconnaissance flights. 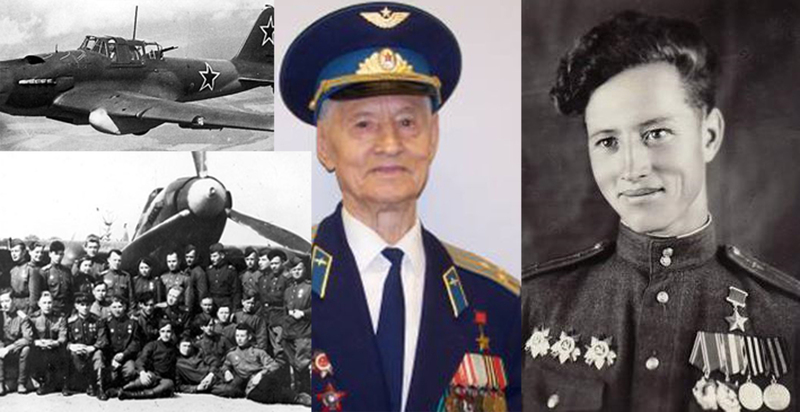 On Aug. 18, 1945, he was awarded the title of Hero of the Soviet Union for heroism during combat missions. After World War II, Borozenets continued his military service and retired with the rank of colonel in March 1978. On May 9, 1995, he took part in a victory parade in Moscow, before traveling to the U.S. for medical treatment later the same year. Although he remained in Chicago, Borozenets retained his Russian citizenship.